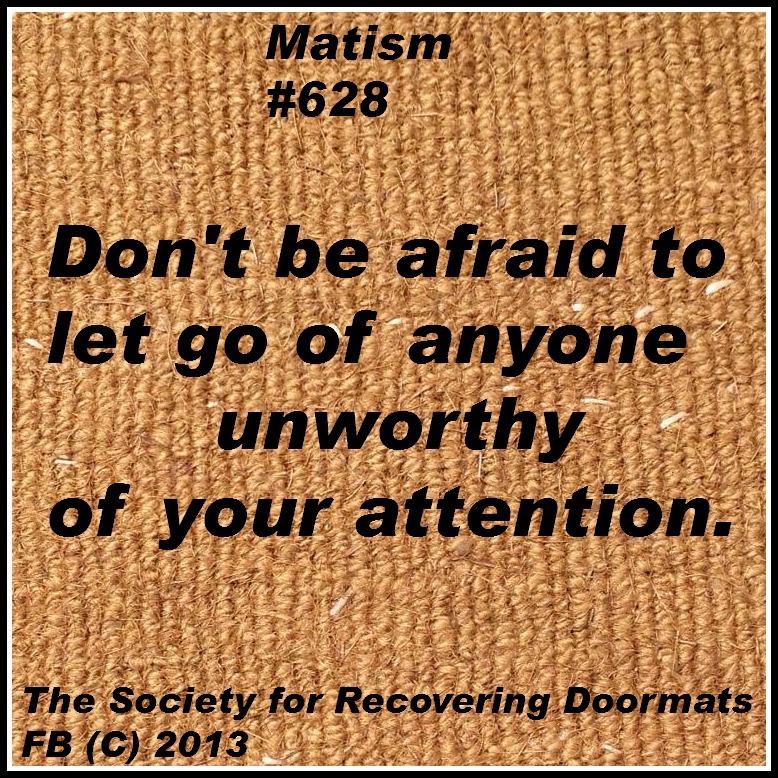 Let go of unworthy people. Do you feel less than and invisible after spending time with someone? If so, this person is toxic. Letting go of toxic people is the healthiest option for a recovering doormat. Surround yourself with those who lift you higher, bring you joy and love you unconditionally. I felt invisible for most of my life. Especially as a child. That is where we learn most of the messages we carry with us good or bad in our childhood. The messages were bad , I felt so unworthy, so diseased and intrinsicly evil that I started hiding even from myself. I have for the most part released myself from those lies I was taught. Today I love who I am and I am worthy of love and attention from myself and others. And it proves that we need to surround ourselves with people who give us positive messages . People who know how to love themselves and others. So today if someone is unhealthy for me I let them go. And I pray someday they learn how to love and can get rid of their own negative messages as well because they is how they became toxic.